Most brand consultancies are just design agencies doing visual identity. Not all brands have a logo, identity and brand guidelines; think Nelson Mandela, Wall Street and David Beckham. 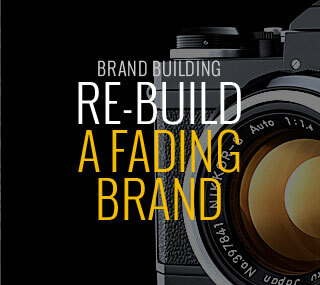 So adding visual identity to your marketing department and calling it ‘brand’ isn’t the way to go. What you need is to become a brand lead company – a ‘low cost’ brand position in the airline category requires more than a ‘low fares’ tagline and a cheap looking logo – it also has to be able to deliver low-cost fares and make a profit at the same time. 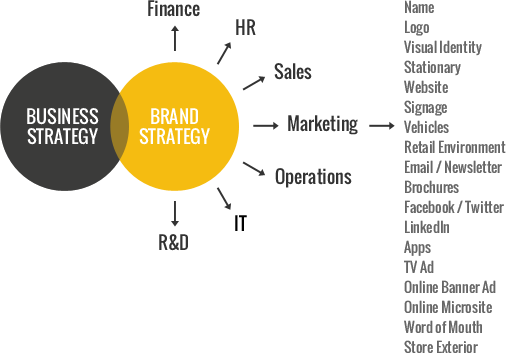 It means Business Strategy and Brand Strategy should work together. There is a fine line between being the ‘brand of choice’ and the brand that was ‘almost chosen’. Grabbing the customer’s attention, standing out from the crowd and exceeding expectations is often the difference between success and failure. 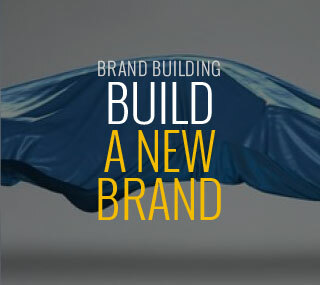 A powerful brand concept can make a new brand demand awareness in a crowded marketplace. Building a great brand is about creating relevant meaning, a meaning that customers can identify with or relate to; Virgin means ‘Underdog’, Nike means ‘Determination’, and Apple means ‘Creative’, just to name a few. They have all gone about different ways to create these meanings in the minds’ of customers. The benefit is that they are often ‘chosen’ despite their price, quality and performance. So what does your company mean? What should it mean? And how do we create that meaning? Entering the customer’s mind in a positive way, is fundamental to the success of your new brand. A brand that resonates with consumers perceptions’ of themselves can demand loyalty and lead to repeat business for years to come. The goal is to gain an understanding of all stakeholders who can will be affected by the new brand and in turn can affect the success of the business. Such stakeholders include (but not limited to) customers, suppliers, management, sales staff, etc… It’s also important to gain an understanding of the company’s business model as it might affect customer and staff perceptions, and could be both an asset or a liability to the new brand. Some tweaking of the current business model to make it fall in line with the new brand position is not uncommon when building a brand. The goal is to identify brand a position which (1) resonates with consumers and (2) it would be possible for the company to occupy in the minds of consumers with regards to the company’s history, capability, routes to market and marketing budget. A set of human characteristics that are attributed to a brand name. A brand personality is something to which the consumer can relate, and an effective brand will increase its brand equity by having a consistent set of traits. 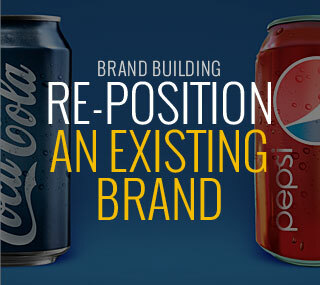 This is the added-value that a brand gains, aside from its functional benefits. Common characteristics or traits represented include uniqueness, sincerity, intellectualism, competence, excitement, and sophistication. A brand vision is like a goal for what the company wants to do in the world. It’s a statement of the purpose of a company, organisation or person – its reason for existing. The vision statement should guide the actions of the organisation, spell out its overall goal, provide a path, and guide decision-making. It provides the framework or context within which the company’s strategies are formulated. 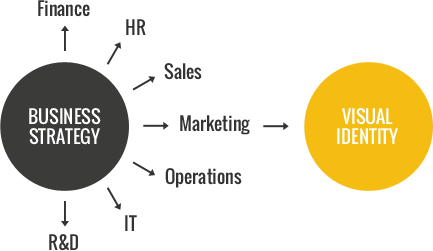 A company’s brand values define how a company wants to do things. It’s a guide for how it wants to treat employees, customers and suppliers. It also covers corporate social behaviour. All actions and behaviours of a company communicates something to someone and a company’s brand values should limit mistakes and maximise ‘correct behaviour’. My brand guidelines cover all aspects of the company which communicates directly or indirectly and are all part of creating the ‘brand’ in the collective minds of the consumer. Brand Guidelines may include, but be limited to; Visual Identity, Corporate Behaviour, CEO Behaviour, Management Behaviour, Staff Behaviour, Operations, Marketing, Finance, HR, Sales, IT, R&D, Product Development, Service Development. I will manage all creative aspects and make sure it all fits in line with your new brand strategy. I will also find, brief and manage any creative people and agencies required to produce all relevant designs and artwork – making it ready for print. I will also give you a fixed cost for all designs, so you know what you get and how much it will cost. I will also find brief and manage all manufacturing companies tasked with delivering all physical elements such as signs, stationary, uniforms, etc.. I will leave the manufacturing costs up to you, as you might want to re-order more elements in the future – this way you’ll have a direct relationship with the supplier. I’ll put together a full brand identity system which allows your company to stand out among its competitors. This powerful corporate identity system will also communicate what your company “is all about” and what “makes it special” – increasing its chances of becoming a strong and desirable brand. Now that we know what the brand position is and how to occupy it, it’s time to load the gun and start firing. I‘ve put together a list of marketing materials which would be great to have. This list is not set in stone and can vary depending on how much you’d like to spend on what and when. Certain things might not be necessary to have ‘day one’ and can be moved to a later date. It’s up to us to sit down and discuss what to produce and by when. Brand Touchpoints may include, but be limited to; Stationary, Website, Signage, Vehicles, Retail Environment, Email, Newsletter, Google Adwords, Brochures, Leaflets, Facebook, Twitter, LinkedIn, App, TV Ad, Online Banner Ad, Online Microsite, Word of Mouth, Retail Exterior.